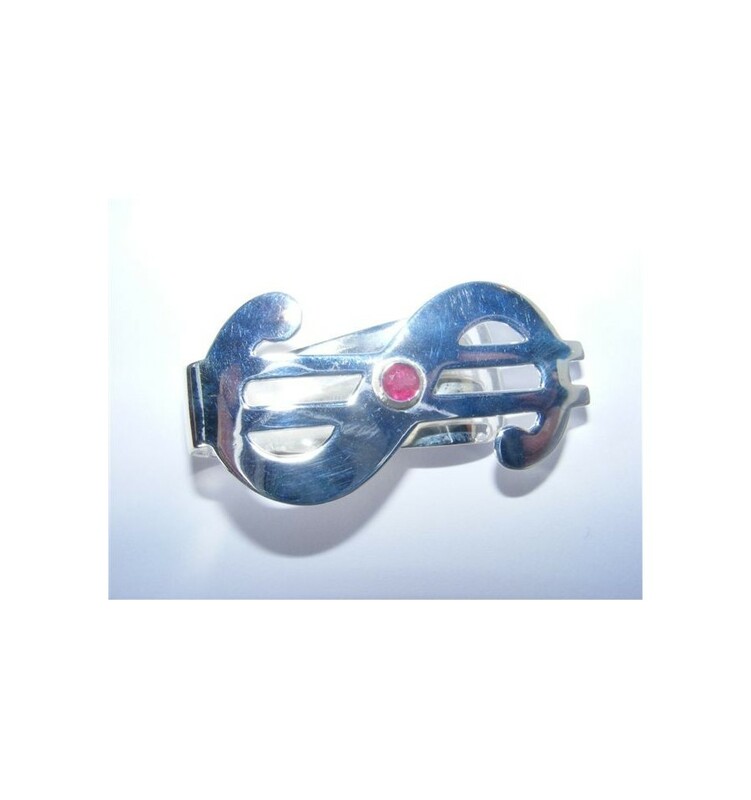 REGNAS SILVER AND RUBY MONEY CLIP. 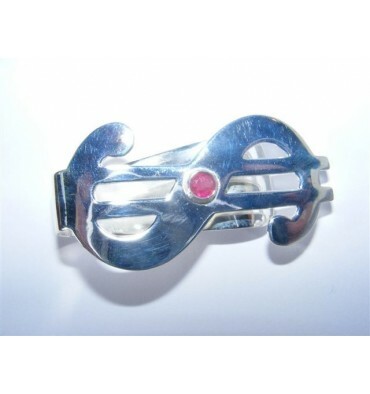 The clip measure 42x25mm (2" x 1") and weighs in at 11.1 grams of Sterling Silver and Ruby. Our custom department can easily make these as a custom item ..Your company logo etc ..Or inset the clip with your chosen birthstone etc. Ask for a quote. Free,Worldwide registered delivery includes a Regnas Gift box, full insurance and our complete 30 days replace or refund warranty.